The “Future of Camp Tuolumne” is a night we’ve all been waiting for since 2013! What will camp look like when we return? When will we return? How will it be different, and what will feel the same? How can we help bring back the Camp we love?? Will there be any trees, what about the stone showers, has the river changed at all, what will the tents look like, etc.. etc..
Tonight, we will get to answer all those questions and more. Hosted by The Friends of Berkeley Tuolumne Camp, along with the City Staff and the design team of Siegel and Strain, we will present the final drawings and plans for the new Camp Tuolumne for the very first time! This will be an evening dedicated to getting the latest information regarding the rebuilding of Camp. You will receive the current timeline for the next few years and have the chance to ask questions directly to the rebuilding Project Manager, design team, as well as the City Staff. FOBTC will be kicking off our Capital Campaign to support what insurance will not cover, and we are excited to share with you the opportunities for how you can get involved! Calling all Southern California Campers! FOBTC is bringing the Camp Spirit and latest updates to Los Angeles! We have outstanding news to share, and for the first time, you will be able to see what Camp is going to look like when we return! Come ask your questions, hear about the current rebuilding status and timeline, learn about our Capital CAMPaign to cover what insurance will not fund. Have a glass of wine with us and celebrate the rebuilding of Camp for the next 100 years! We really want to include your voice, your energy and your talents as we begin the next phase of this journey together. Reserve your free ticket here – space is limited to only 40 people. 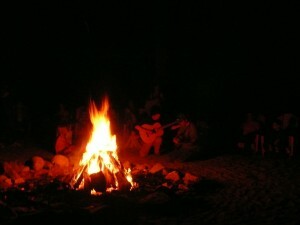 6th Annual Campfire and Sing-a-long in Berkeley! Come out and join family, friends and former staff at Live Oak Park in Berkeley for a campfire and s’mores. Led by former Rec staff, we’ll be singing old camp songs, roasting marshmallows, and commemorating the 6th anniversary of the Rim Fire. Bring a lawn chair, pillow, and dinner/snack if you like. We’ll bring hot cocoa, marshmallows, drinks, and all your favorite Tuolumne Camp songs. Labor Day Weekend at Berkeley Echo Lake Camp! and enjoy a fun, relaxed, family, holiday weekend filled with camp spirit! The weather and beauty of this time of year is spectacular! Three Rec Supervisors will cook up a great weekend of fun activities from campfires, smores and your favorite camp songs. Enjoy boating, sunset happy hour on the observation deck, volleyball, swimming, archery, yoga, arts & crafts, bingo and more! Sign up early and reserve your spot! Registration will fill up! Our 3rd Annual Gala celebrating the rebuilding of Camp Tuolumne! SAVE THE DATE for an evening of celebration high above Berkeley at the magnificent University Club! Enjoy 360 Bay Area and sunset views in a glorious space while celebrating the rebuilding of the camp we love. The events committee is working on this year’s theme – so stay tuned! Calling all staff for our 3rd Annual Staff Reunion! Hosted by FOBTC, we’re bringing staff together to reconnect and catch up with old Tuolumne friends. Swing by on this holiday weekend and hear the latest updates on the rebuilding of Camp. The first drink is on us!